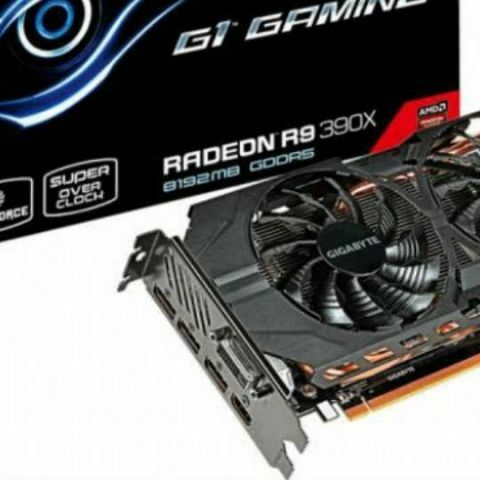 As Gigabyte expands its product lineup with AMD’s new Radeon 300 series graphics cards, we are still on the lookout for the cards with high bandwidth memory. Gigabyte has launched its factory overclocked versions of the AMD Radeon R9 and R7 300 series graphics cards. The R9 390 and 390X are overclocked to 1020MHz and 1060MHz respectively. Both are air-cooled with Gigabyte’s Windforce 2X system. The GV-R7360OC-2GD, which is based on the R7 360, is overclocked to 1200MHz. It is the only card among the four that is not cooled by Windforce, and is cooled by a 90mm fan. The GV-R737WF20C-2GD/4GD is another card based on the R7 series, and is overclocked to 1015MHz. It is cooled by a Windforce 2X setup, and is available in both 2GB and 4GB variants. The 300 series is AMD’s next product lineup refresh, and at the top, there are the Fury GPUs that sport AMD’s new HBM (High Bandwidth Memory) feature, that is supposedly much faster and more efficient than current forms of memory.